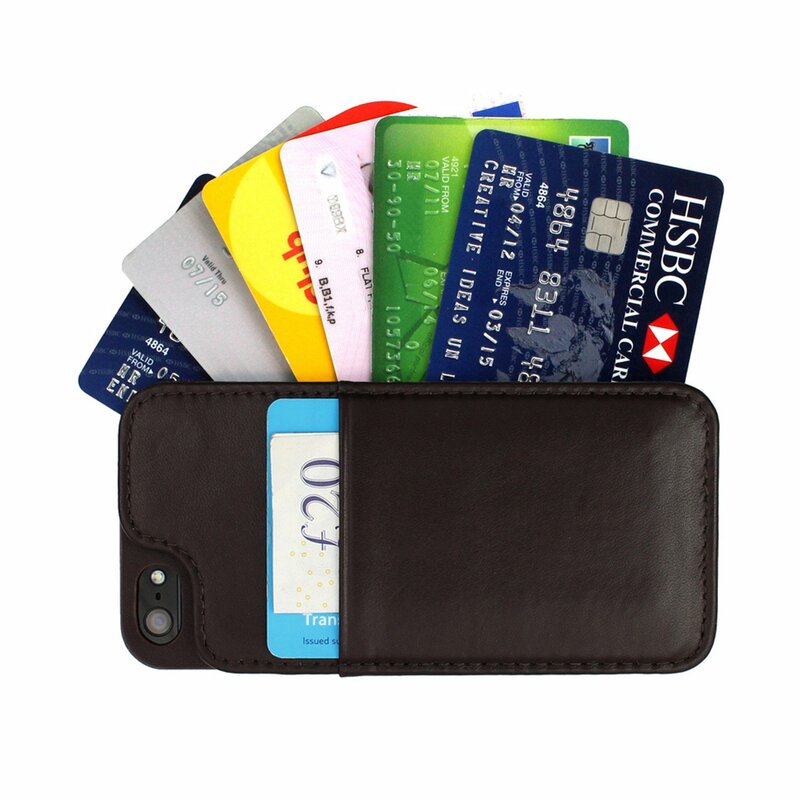 Is this the ultimate wallet case for the iPhone? With just space for enough cards, receipts and tickets to get anyone through a day’s travel, the Vaultksin Lexx Wallet is brilliantly designed. Being made from real leather (black or brown) puts the Vaultksin Lexx Wallet ahead of most rivals, but it’s a cunning screen guard design that impresses most of all. Measuring 125x61mm, 19m at its thickest part, and weighing 31g, an iPhone 5 or iPhone 5S clips into a soft silicon grip on the front while leaving just enough – barely half a millimetre – above its host. So if you put the Vaultksin Lexx Wallet face-down on a flat surface, the phone inside isn’t touched. The Vaultksin Lexx Wallet’s headline act is the card pocket underneath the phone. Fastened by a square magnet in the top right-hand corner, the pocket closes around card to keep them secure. However, this only works if at least seven cards are in-situ; any less and gravity forces cards to drop out. We got nine cards in before the magnet lost it’s permanent connection. There’s a cutout in the leather for the iPhone’s camera, though as with all cases it does interrupt the flash, reflecting some of the light and ruining photos. If you’re using the iPhone’s flash regularly you will need to take the iPhone out of the Vaultksin Lexx Wallet. That doesn’t apply to the iPhone’s torch function that – using the same LED as the flash – issues quite enough light through the cutout. As well as that main compartment the Vaultksin Lexx Wallet features a small pocket on the rear. The maker claims it’s good for another couple of cards, but in practice it’s not wide enough and stretches if this is attempted. However, it’s a great place to store cash – aside from the fact that the tops of notes poke-out, and are on display if you put the phone to your ear. Should travellers carry around the three most valuable items on them – phone, cards and cash – in the same place? Probably not, but the great value Vaultksin Lexx Wallet is nevertheless one of the most compact, well-made and functional of all wallet cases for a smartphone.